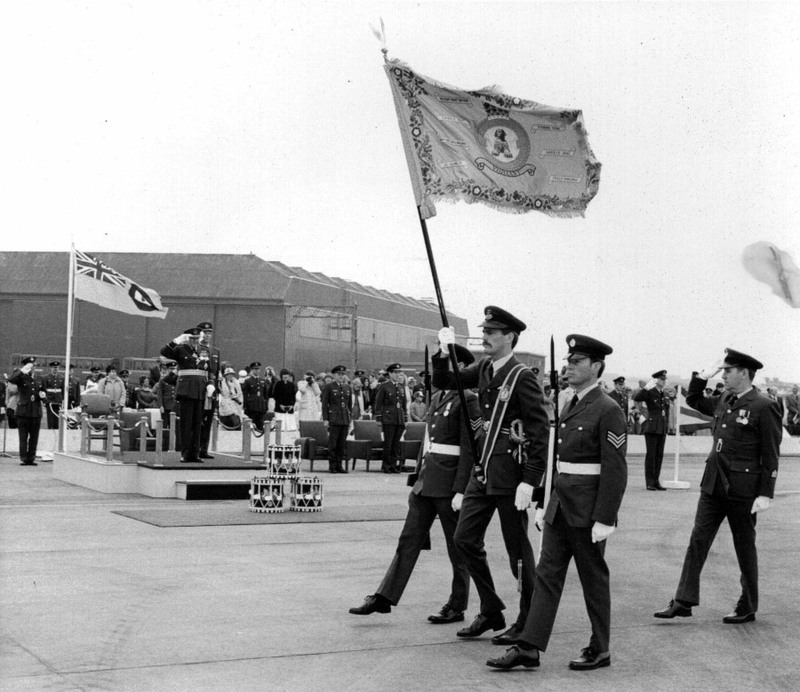 During it s illustrious history, 208 Squadron has been honoured with the presentation of 3 Standards, the first of which was presented on 18 November 1955 by the founding CO of the Squadron: Air Vice-Marshal Sir Geoffrey Bromet KCB CB DSO RAF (Ret’d) at Abu Suier in Egypt. 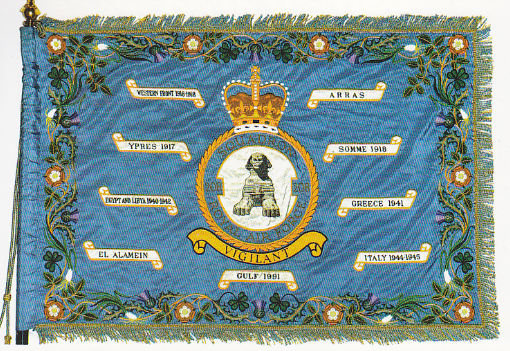 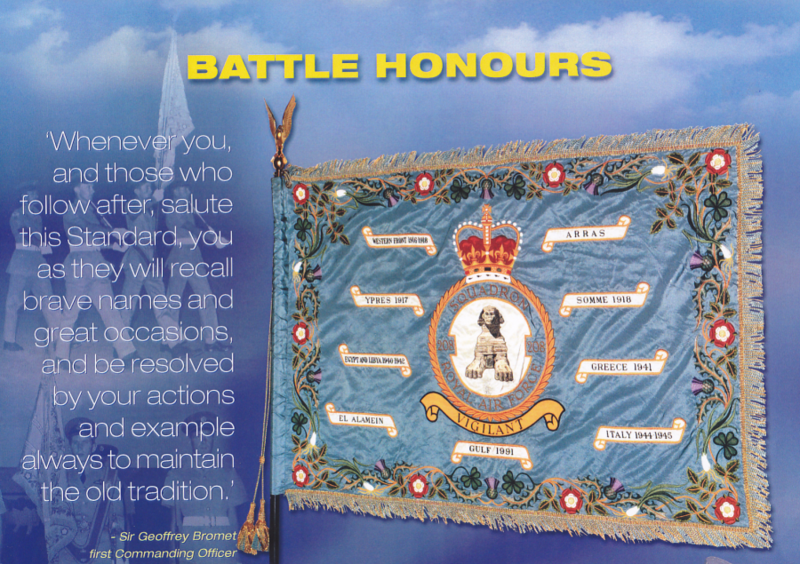 The original Standard was eventually replaced on 1 June 1984 during a parade at RAF Lossiemouth in the presence of Air Marshal Sir Humphrey Edward-Jones KCB CBE DFC AFC BA RAF (Ret’d). 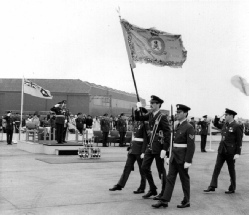 It was this second Standard that was replaced during a parade at RAF Valley on 24 November 2011 by the Chief of the Air Staff, Air Chief Marshal Sir Stephen Dalton KCB ADC BSc FRAeS RAF. 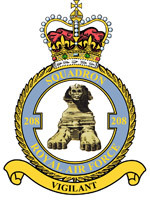 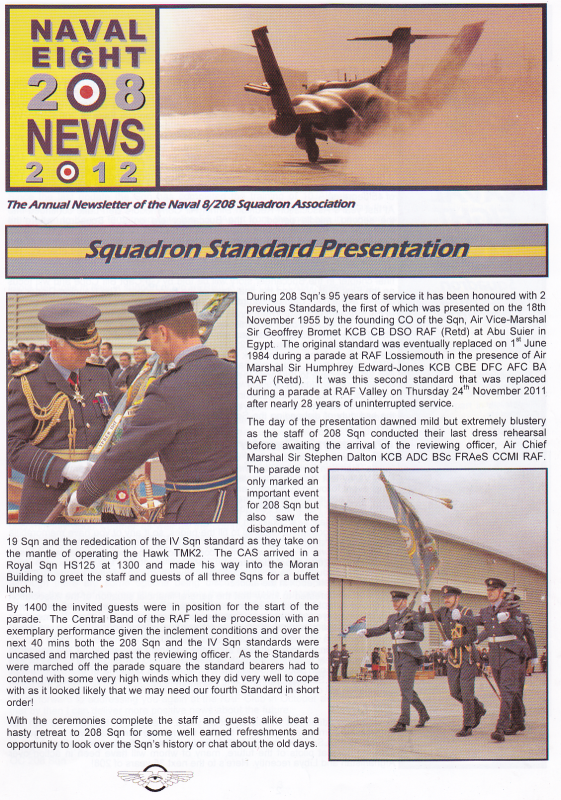 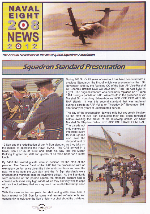 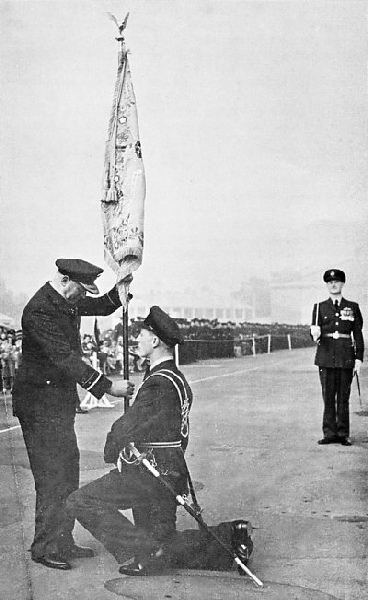 The presentation of the Squadron Standard in the 2012 Newsletter.